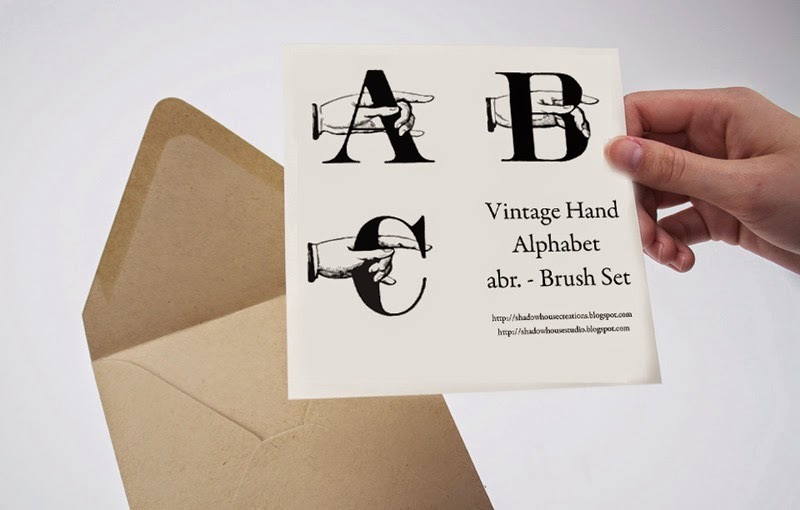 The Vintage Hand Alphabet Brush Set contains all 26 letters of the alphabet. Each letter is contained within a 500 X 500 pixel white background. with CS3 and newer versions. Thanks Jerry, good to see you posting again, hope all is well. Look forward to using the brushes. Wow - what an amazing resource. Great quality, great variety and lots of really unusual stuff, too. Thanks so much. Have donated and will be back to donate more as I use this material more.